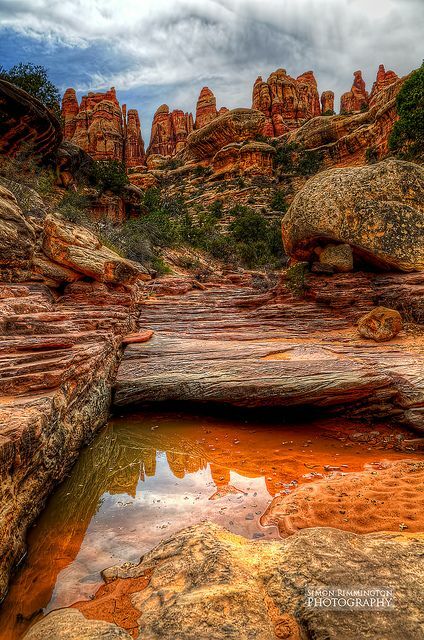 Canyonlands is a popular recreational destination. On average 440,039 people visited the park each year. The geography of the park is well suited to a number of different recreational uses. Hikers, mountain bikers, backpackers, andfour-wheelers all enjoy traveling the rugged, remote trails within the Park. Rafters and kayakers float the calm stretches of the Green River and Colorado River above the Confluence. Below the Confluence, Cataract Canyon contains powerful whitewater rapids, similar to those found in the Grand Canyon. However, since there is no large impoundment on the Colorado River above Canyonlands National Park, river flow through the Confluence is determined by snowmelt, not management. As a result, and in combination with Cataract Canyon's unique graben geology, this stretch of river offers the largest whitewater in North America in heavy snow years. The Island in the Sky district, with its proximity to the Moab, Utah area, attracts the majority (59 percent) of park users. The Needles district is the second most visited, drawing 35 percent of visitors. The rivers within the park and the remote Maze district each only account for 3 percent of park visitation.